The Hyundai iLOAD is the second best-selling minivan in the Australian market, just after the Toyota HiAce. However, the iLoad gets a bunch of new features plus styling tweaks and is sure to give the Toyota a good run for its money. In this review we look in depth at the all new 2016 Hyundai iLoad. Most minivans aren’t exactly good looking. If you want a vehicle that turns heads, the iLoad will probably disappoint. 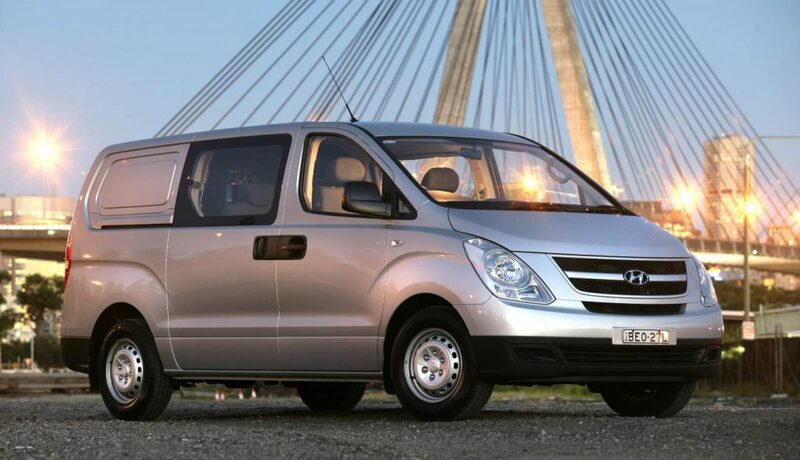 However, if you want a dignified van with oodles of space and practicality – this Hyundai Model is hard to beat. Firstly, the low stance makes it easy to get in and out of the vehicle. The low floor level also facilitate easy loading and unloading. The front end gets a few tweaks too – the grille is now body coloured with chrome Hyundai badging. The rear end gets a chrome strip too. Depending upon your needs, options exist for either a twin swing or lift off style rear door and the sliding side-doors are a blessing in tight parking spaces – in a vehicle this size; parking is always going to a little tight, especially in cities. 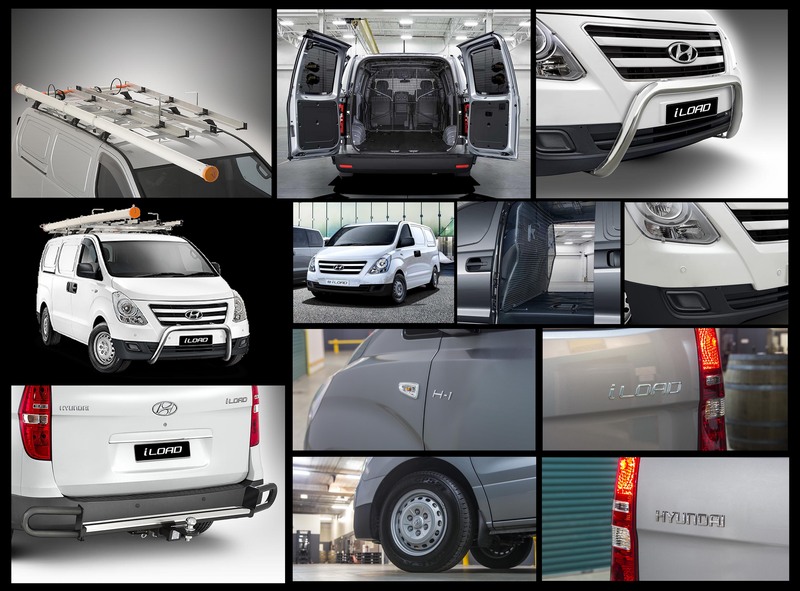 Unlike other models where the side door is an optional extra, Hyundai have made it standard for the iLoad – thus making loading and unloading the van a lot less awkward. The wheel arches and the big bold headlights lend a bit of character and make the iLoad easy to recognise. Even though this is not exactly ‘a looker’, the iLoad is still likable because it’s unpretentious and a lot of fun to drive, as far as a minivan can be. In our view, the VW Transporter remains the best looking automobile in the segment – but the iLoad is not far behind with its lively semi-bonneted design. Buyers of this vehicle will appreciate that there is plenty of scope for custom configuration both on the inside and the outside. Usually the interior of vans are labelled boring and basic but the iLoad feels comfortable, modern and relaxing on the inside. 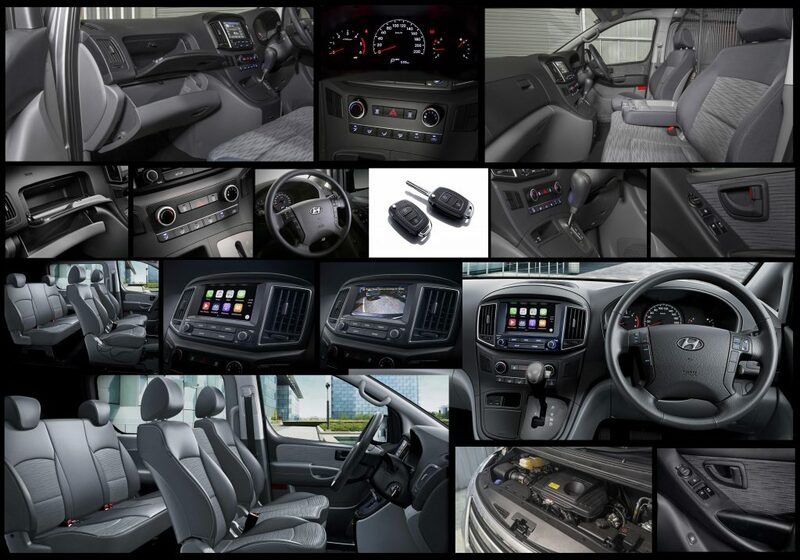 Electric Windows, an Infotainment System with a 7 inch Touchscreen Display, an efficient and powerful air conditioning system, electric adjustable rear view mirrors, dual glove boxes and comfortable seating mean the Iload loses this label. An interesting design element is the flexibility of the iLoad which see it capable of being adjusted to either a three or six seater. Of course If you want more seats, Hyundai have the option for a 8 seater people mover which is aptly named iMAX. The only downside in the six seater version is that middle row passengers get a lap belt only. The cargo compartment can hold 2 pallets easily. However, despite being such a large automobile, the cargo compartment has a volume of only 4.4 cubic meters. This is considerably less than that offered by rivals. and the Ford Transit 5.9 cubic meters. To its credit, the Hyundai does offer more passenger space than its rivals – the seats can be moved back and forth unlike other vans where they are fixed in one position. The iLOAD is available with 3 engine options. The diesel automatic is the most preferred option among Australian buyers. It is also the most powerful of the bunch, having 125 kW and 441 Nm of torque. The diesel manual churns out 100 kW and 343 Nm while the petrol manual produces 224 Nm of torque and 127 kW of power. All three engines are highly capable and the iLoad pulls easily even when fully loaded. Still, the diesel engines are more popular since they produce more torque and are a tad more economical. The turbocharged 5 speed diesel automatic is quite powerful (441 Nm) and we found it quite enjoyable to drive. Many minivans now come with smaller engines and the lack of grunt is felt while driving on hilly roads or when the vehicle is loaded. The Hyundai though, never feels underpowered – it has one of the best engines in this segment. It may not be as refined as the Transporter and its other European cousins, but it does packs a fitting punch. All this power comes with a slightly high fuel consumption of 8.8 litres per 100 km. Like what your reading? Do you want to get our reviews sent directly to your inbox? Then go ahead and Join our growing list. Enter your email address below. The driving position is high – this is an important safety feature in such a large vehicle since it gives a clear, unobstructed view of the road ahead. 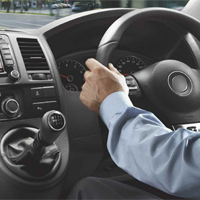 The steering is light which makes it easy to manoeuvre the iLoad within the city. The ride is a bit bumpy if the vehicle is empty but smoothens out considerably when it is loaded. As expected, cornering ability is nothing to boast about but it should be remembered the iLoad is a van and not a sportscar. It is over 5 meters long and just under two meters in height and breadth. All in all, the iLoad feels almost car-like to drive. The 2016 Hyundai iLoad has an ANCAP safety rating of 4 stars. The earlier model featured only front airbags but the updated version comes equipped with side airbags as well (for the driver and front passenger). This new model also gets a reversing camera – which is a must have in minivans since they offer very poor rear visibility. Other safety features include ABS, Electronic Brake Distribution, traction control, electronic stability control, 4 ring rigid frame etc. The current segment leader is the Toyota HiAce. While the Hyundai has a smaller cargo compartment than the HiAce the iLoad is more powerful, more comfortable and more spacious in terms of passenger room. It also has a better engine and gearbox. However, the best part about the iLOAD is that it has the best after sales proposition in the market. It comes with 10 years of roadside assistance, capped price servicing and a 5 year, 160,000 km warranty. Our recommendation – We recommend the Hyundai iLoad for those motorists looking for a minivan within a strict budget range. Top 6 Safe Driving Tips – Do You Know Them All?